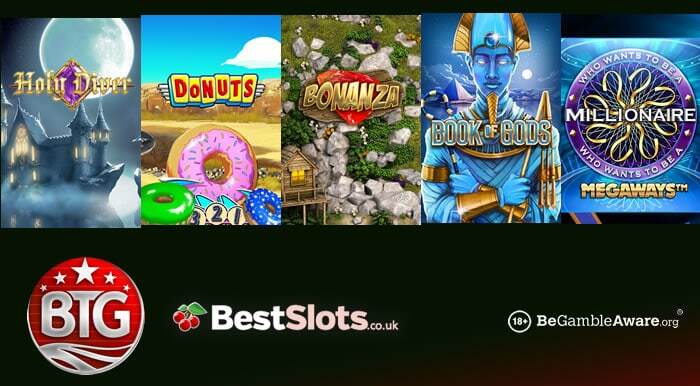 You may have noticed that Big Time Gaming have become a major player in the online slot game space in recent months – as a result, detailed reviews of all Big Time Gaming slot games have been added to BestSlots.co.uk including the ability to play for free. Big Time Gaming has made a lot of noise in the industry with their MegaWays game mechanic which they have licensed to Blueprint Gaming – other providers like NextGen Gaming will be using it too. Anyway, they focus on original concepts and medium to high variance slot games which offer some serious win potential. 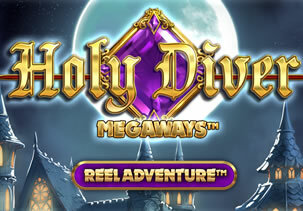 Holy Diver MegaWays is a 6 reel game with up to 15,120 ways to win in the base game. With a medieval theme, it comes with 4 randomly triggered features that change low value symbols into wilds, give you up to 3 wild reels with multipliers up to 343x, flaming wilds that turn nearby symbols into wilds and transforming symbols that become wild with multipliers. There’s also a Free Spins feature where you begin with 10 free spins – gems turn wild and give you multipliers. You can also win more free spins and benefit from more symbols on every reel for up to 586,789 ways to win. Highly volatile, you can win 23,306 times your stake on every free spin. 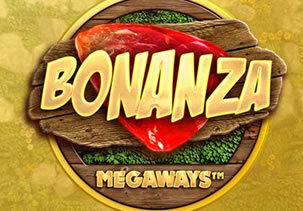 Bonanza was the original MegaWays title and has 6 reels and up to 117,649 ways to win. With a mining theme, winning symbols are destroyed and replaced with new ones to give you consecutive wins. Look out for carts above the reels which adds symbols to the reel directly below – this gives you another chance to win. There’s a Free Spins feature where you’ll begin with 12 free spins at a minimum. Each consecutive win applies a multiplier and you can win more free spins for huge wins. This slot game is what inspired all future MegaWays titles so it must be treated with respect. Donuts is a 4 reel slot game with 4,900 ways to win – with sweet delights on offer and an Americana theme, look out for boxes which reveal up to 4 of the same donut symbol or multiplier wilds. There’s a Bonus feature where you can start with up to 20 free spins. Before you begin, you’ll enter the Bonus Countdown – you’ll only see blanks and golden donuts. With 3 spins awarded, donuts hold in place with more respins to follow. All the multipliers won are then applied to the free spins which can reach 50x. There’s also unlimited free spins to be won. This is Big Time Gaming’s most volatile slot game with payouts of up to 40,000 times your stake on every free spin! Where shall I play them? Big Time Gaming slot games can be found at many online casinos – I recommend Videoslots Casino which has more than 3,300 slot games! Winners of numerous industry awards for best customer support, they process cashouts within minutes. New UK players are welcomed with a 100% bonus up to £200 plus 11 welcome spins (with no wagering requirements) on Net Entertainment’s Starburst.